We bring years of experience to your project so you can focus on discovering research insights instead of worrying about show rates and recruiting the right participants. Insight Space offers targeted recruiting services and boasts one of the most extensive databases on the West Coast. Our database includes IT professionals, gaming enthusiasts, systems integrators, software developers, technology end users, business and leisure travelers, creative professionals, media and marketing professionals, technology consumers, medical professionals, medical patients, and business professionals. Insight Space has state-of-the-art facilities in Seattle. Our six labs are flexibly designed and can be used to simulate an office, living room, bedroom, hospital room, or kitchen. Our labs are perfect for a wide range of research studies. We are happy to provide you with audio recordings, transcriptions, broadcast-grade streaming, note takers, on-site IT support, and more. 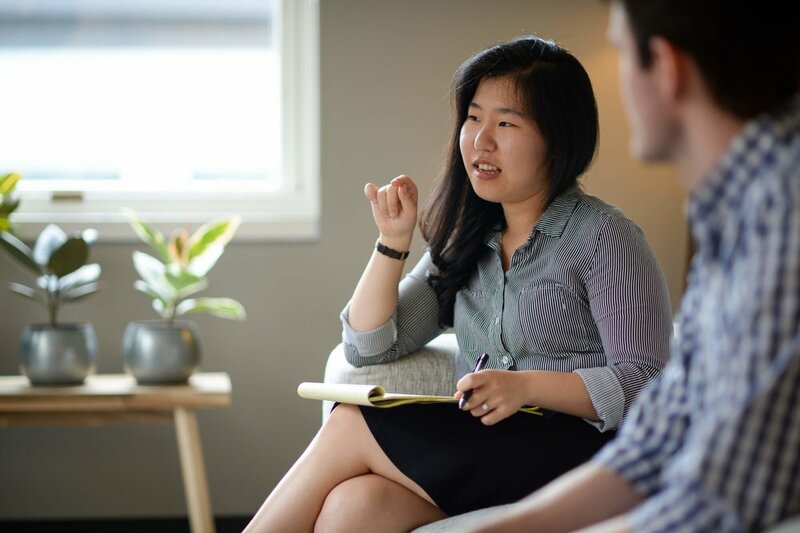 If you need professional moderation and/or analysis for your focus group or usability session, Insight Space has a team of the most experienced moderators and usability engineers on the West Coast.